Over the past couple of months I have been working on the branding and website design for Brixworth Laser and Skincare. Today their new fully responsive website went live and I’m delighted to tell you a bit more about the project. The new website for Brixworth Laser and Skincare is now live and as standard is fully responsive on desktop, tablet and mobile. 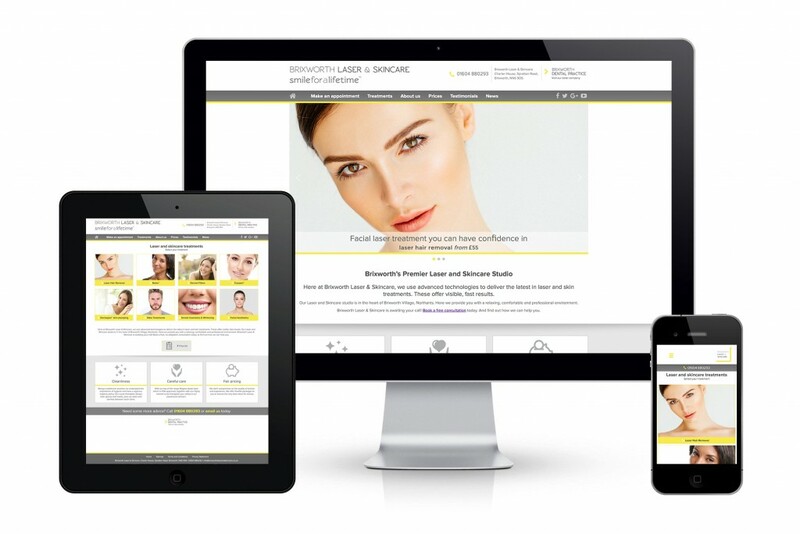 See the site at brixworthlaserandskincare.co.uk and read more about the project here. If you are looking for a freelance graphic designer in Bath to design your website, branding or business stationery, please get in touch here – I’d love to hear from you.